Buying a truck can be a distressful situation if you do not know about all the terminologies and features related to it. Once you learn the different options available and what features will suit your needs, the process will become much simpler. The confusions stem from the fact that there are so many different types of trucks; too many vehicles are classified as a truck. Anything that is bigger than a car on the road is called a truck. It might mean a 4-seat, ultra compact ride for home use, or it might mean a huge truck that transports containers over highways. Here is a buying guide to what you need to look out for when buying a lorry. This is the first decision you will have to make. Trucks are usually divided into three types; compact, full size, and heavy duty. Whichever is relevant for you depends on what your needs happen to be. If you have to run a small delivery or need to move a few boxes around, then you are going to need a compact truck. These are the trucks we most commonly see on roads. Compact trucks are the ones used usually by courier companies. Full size trucks are considerably more powerful and have much more capacity. Heavy duty trucks are a completely different ball game. They are huge and there are many more complicating factors you need to consider before purchasing a heavy duty truck. These are very expensive; they are usually seen on highways transporting big containers. We would strongly recommend getting professional help when buying a full size truck; you shouldn’t make such a big investment unless you are sure you are making the right choice. This is only important if you intend to use the truck for purposes other than moving items. 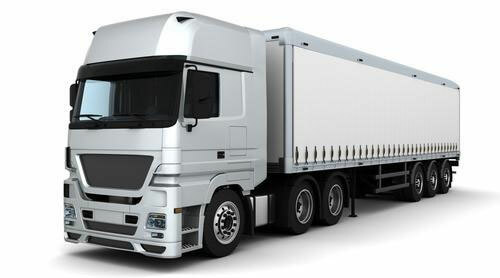 By default, most lorries have a standard cab, which has 2 doors and enough space for 2-3 people. If you are buying a truck for transporting things for your business, then this will be good enough for you. There are many businesses that need to move both the items and the crew. For such instances, you will have to ensure that you get a truck which has a crew cab option, as this isn’t available on all trucks. A crew cab allows seating for 4-6 people and usually has 4 doors. Once you have figured out what truck size suits your needs best, you need to find out which truck engine type you should go for. Gasoline engines are only suitable for compact and ultra compact trucks. If you are looking for anything bigger, then you need to get a truck with a diesel engine. You can also opt for V8 or V12 engines based on how much power you need. Fuel economy also matters a lot when it comes to trucks, so make sure you check the fuel economy of the engine you choose. There are also many different engine manufacturers, who are different than truck manufacturers and sell their engines to the truck manufacturers. You will usually see automatic drivetrains in smaller trucks, though they are becoming popular in larger trucks as well. Trucks can have a lot of gears; the basic formula is that more gears equal to better traction control, but also to more maintenance and more complicated driving. If you truly need lots of traction control, then make sure your truck has enough gears. When it comes to wheels, most trucks will have 4WD, though you can buy some compact 2WD trucks as well, but we do not recommend it. When it comes to trucks, it is vital to ensure that your truck can carry as much weight as you need and tow when needed. Compact trucks may be able to tow anywhere from three to eight thousand pounds. Midsized trucks and full sized trucks offer a lot of variance when it comes to load and different engine configurations and axels can lead to different capacity. Heavy Duty trucks can tow much, much more than other types of trucks and also have a lot more wheels. If you are buying a full sized truck, ensure that you study about axel ratios. Axel ratios determine how fast your truck picks up speed. You may go with the standard ratio that trucks come with, but if you want to use it for towing purposes, then we would recommend lowering the axel ratio for a more powerful pickup. Truck brands are very different from car brands, though some car manufacturers do make trucks as well. The most popular truck brands are International, DAF, MAN, Mercedes Benz, Freightliner, Kenworth, and Volvo. They all have their own disadvantages and advantages. They also product a wide variety of trucks; thus, we cannot compare the brands directly. Choose the type of truck you need and compare the variants of the above brands in that type. Safety is always important but it becomes even more important when buying a truck for work purposes. You are liable for the safety of your employees, thus there should be no risk involved whatsoever. Many trucks these days come with multiple airbags which ensure that the driver and passengers are kept safe in the event of a collision. Another important part of safety is how long it takes for the lorry to come to a full stop. There have been a lot of improvements made to truck braking systems over time and you will be surprised by how quickly the new trucks can stop. We would highly recommend keeping this factor in mind when you make the choice, because having a truck which has the right brakes that stop as fast as possible can be a life saving decision. The good thing about market competition is that a lot of different varieties are available for buyers, which is why most truck manufacturers add extra features. You have the choice of comfortable interiors, navigation, hybrid options for the engines, and much more. Once you have filtered out the available trucks on the main features, you can make your choice on the basis of other features.